View Working with Webhooks on Notist. In an increasingly connected world, APIs are key to great tools and effective workflows. What is better than an API? A webhook of course! 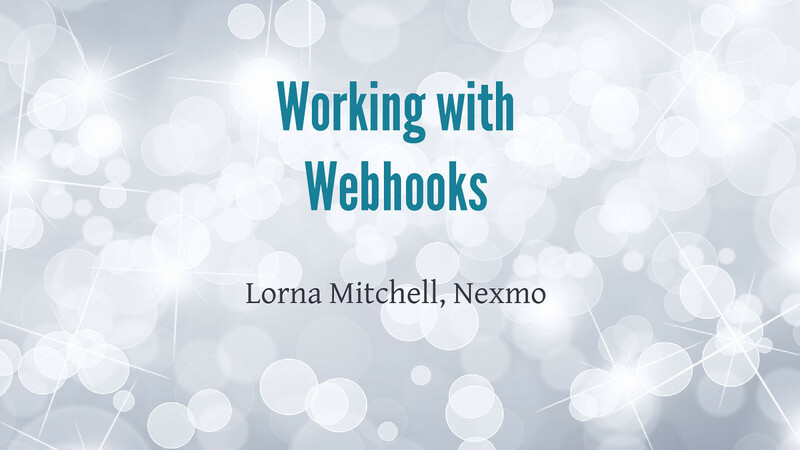 Webhooks are the modern way for integrating systems and allowing them to react to one another. This session will cover what a webhook is, when you might want to use one, and some examples for handling webhooks in your own PHP projects. You’ll see some examples of tools to help during the development process, and some real examples of webhooks in action.